Bridon is a global technology leader manufacturing wire rope solutions for some of the worlds most demanding constructions. 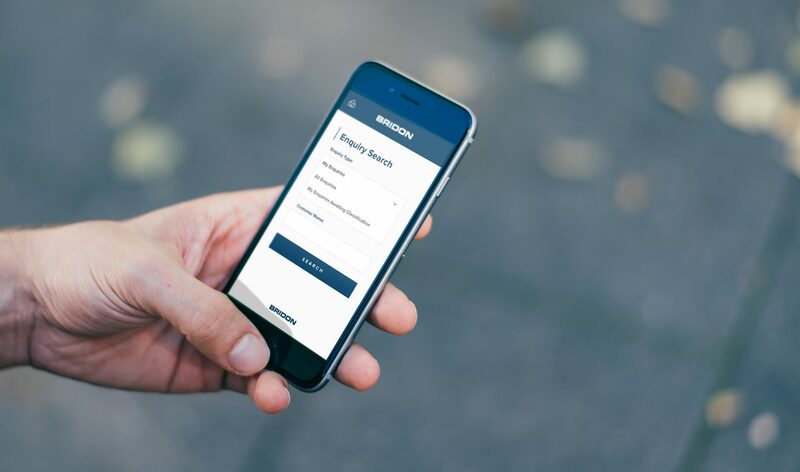 We were appointed to design and build an internal mobile app for the Bridon sales teams to streamline workflows in real-time while on the road. 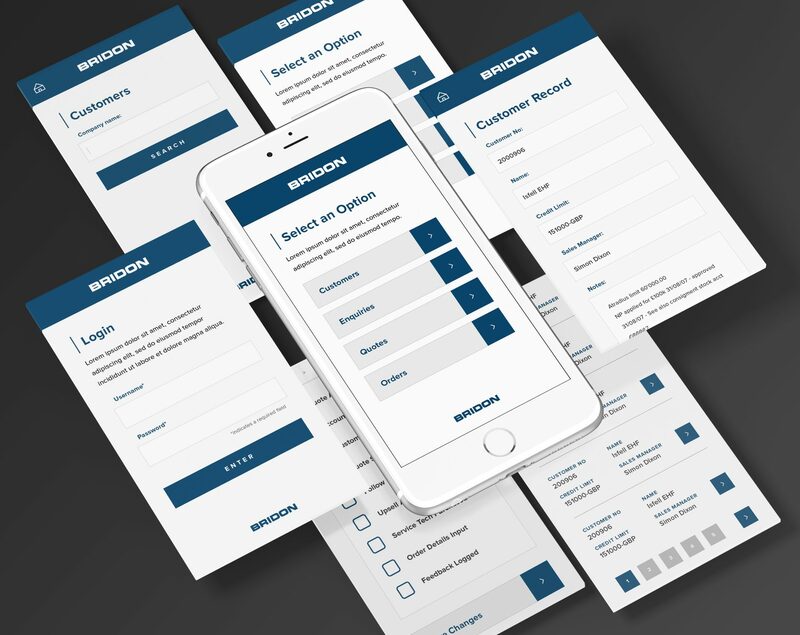 Our brief was to build a scalable mobile app that would provide a platform for sales teams to update the CRM database while on the road thus reducing admin time and improving sales teams workflows. At the same time, the platform enables management to view, analyse and export performance data of the sales teams live. Working with the Bridon marketing, IT and key management teams we created a prototype of the app before the user interface was designed. The app provided access to customers, enquiries, quotations and orders managed and all integrated within their existing Oracle CRM platform. 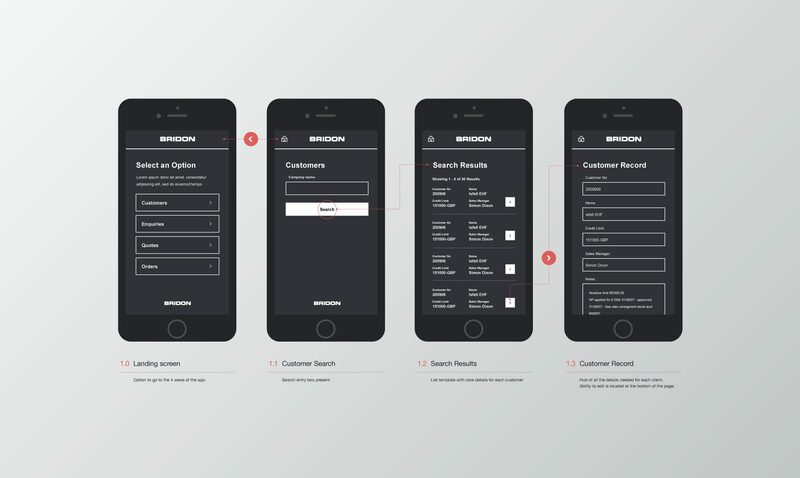 The insight we gathered from user persona research and journey mapping was used to inform the creative to produce an easy to use and intuitive mobile app, allowing individuals to review customer information, create orders, add new accounts and request quotations.